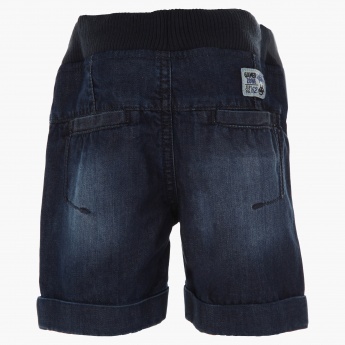 Comfortable and cool, this pair of denim shorts are a must have for his casual wardrobe. 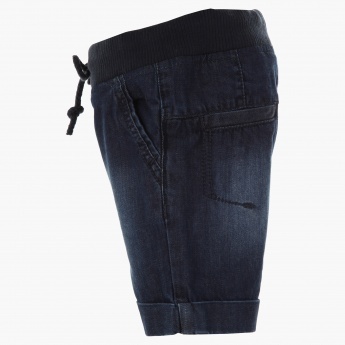 The pair features an elasticated waistband with a drawstring, up-turned hems and a slight fade detailing. 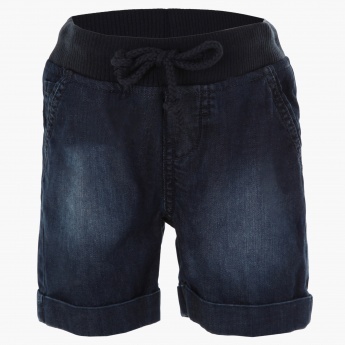 He can wear it with different tees and casual shirts to create a versatile look each time he steps out.